Over two and half years, legislators from the FBiH Parliament have collected more than 825,000 KM in accommodation, living-away-from-home and transport allowances. Most of them have taken advantage of the loopholes in regulations. Goražde legislator Sanel Mušović, has owned an apartment in Sarajevo, the capital of Bosnia and Herzegovina (BiH), for 10 years. That has not stopped him from collecting 17-months worth of taxpayer-funded housing and other expenses when he’s working at the House of Peoples in the Federation of BiH Parliament. Another 34 of Mušović’s peers whose homes are at least 70 kilometers from the capital also take advantage of these perks. They get official apartments to reside in while on government business, and they get money to cover utilities and living expenses. Every month they receive 800 KM that they have discretion to decide how to spend. Their weekend transport expenses to go back to their families also are covered. Over the past 2.5 years, more than 825,000 KM has been spent to reimburse legislators for these expenses. Some legislators look for the cheapest accommodation deals and pocket the rest of the money. Some let others live in the places the government rent for them – their children, or their landlords who are frequently friends or party colleagues, or just other tenants. 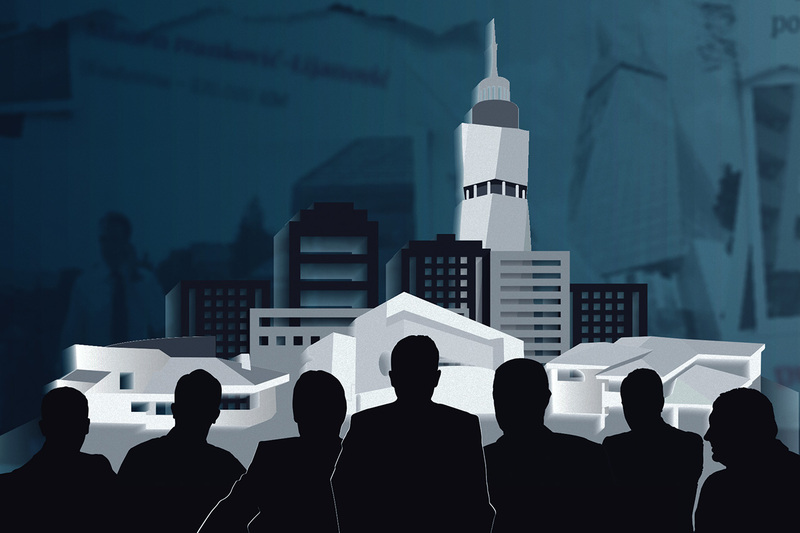 The Center for Investigative Reporting in Sarajevo (CIN) found that lawmakers often rent in old and decrepit buildings or on the outskirts of Sarajevo, far from the FBiH Parliament’s building. At least half of legislators entitled to accommodations have no use for them. They simply drive home or sleep in a hotel. The FBiH House of Peoples does not check on use of the perks and has no oversight over legislators’ use of them. “Without an oversight mechanism it is impossible to prevent some manipulation,” said the House of Peoples secretary Izmir Hadžiavdić. Thus, the institution paid Mušović 11,200 KM for accommodation and living expenses. Three days after a conversation with CIN reporters who had found about his apartment, Mušović formally asked to stop receiving the extra money. Parliament approved the request – but there has been no move to sanction the legislator. Mušović travels to the Parliament sessions from his family home in Goražde, 100-plus kilometers away. Every month he receives in allowances nearly equal to an average FBiH salary, as a reward for being separated from his family. He is given more money to visit them over the weekend. Mušović first asked for the allowance in 2015, at the beginning of his term. He was put forward by the Assembly of Bosnia-Podrinje Canton (BPK) as a member of the Alliance for Better Future in BiH. He collected the allowances in 2015 and 2017, even though he had owned for ten years a double-room apartment just few kilometers away from the FBiH Parliament. His landlord is a friend, Sadik Miraščija. The first time around, Mušović rented part of Mirašćija’s family house for 400 KM a month. This year, taxpayers paid 200 KM for a house that Miraščija is building, not ready to be lived in. “We had a tacit agreement that he would very quickly get it done and fine,” said Mušović. Since Miraščija did not make good on his promise, he offered the legislator a room in his hotel in Baščaršija. Mušović told CIN that he also resided in his landlord’s hotel instead of the rented house in 2015. He would also go back to Goražde whenever he had a chance. Parliament paid Miraščija rent on time, while the reminder of 600 KM, meant for utilities and the living costs, Mušović received along with his salary. Regulations about the use of these allowances do not specify what kind of accommodation a legislator may rent or whether those who already own apartments are prohibited from claiming the allowance. Mušović who took money for accommodation, utilities and living expenses for 17 months, told reporters who uncovered his ownership of an apartment in the capital that he had bought it with family money. He said he could not use it. “Sometimes various family arrangements and promises may render a real property inaccessible, even though it’s legally yours, but not in reality,” said Mušović. He provided no other details. He said that no one asked him for proof of real property ownership in Sarajevo. Had he told the Administrative Committee of the House of Peoples that he had an apartment, he would not have gotten the allowance and his transport costs would have been calculated in a different way. Mušović claims no income from the Canton’s Assembly, while at the FBiH Parliament he receives 4,170 KM a month. Fifty-four legislators from 10 Cantonal assemblies sit in the House of Peoples, 48 of whom are professionals on pay from the institution. Thirty-five of them are entitled to living away from home and accommodation allowances. They are also entitled to reimbursement for four return tickets from Sarajevo to their town of residence on weekends. Labor Party legislators from Cazin and Velika Kladuša, Mirvet Beganović and Rasim Kantarević, receive 376 KM a month for transport. They rent the same apartment in Svrake near Sarajevo for which taxpayers pay 150 KM for each of them. They keep the rest of 650 KM. Kantarević said that the flat is far from the Parliament but it was difficult to find another one. Both see renting a flat that neither uses the only way to claim allowances. “I know that it is unethical, but on the other hand, it is the only legal way at the moment for a person to get money for travel expenses, for coming and staying,” said Kantarević. Over two and half years, Kantarević and Beganović took 55,704 KM for transport and living expenses in Sarajevo. 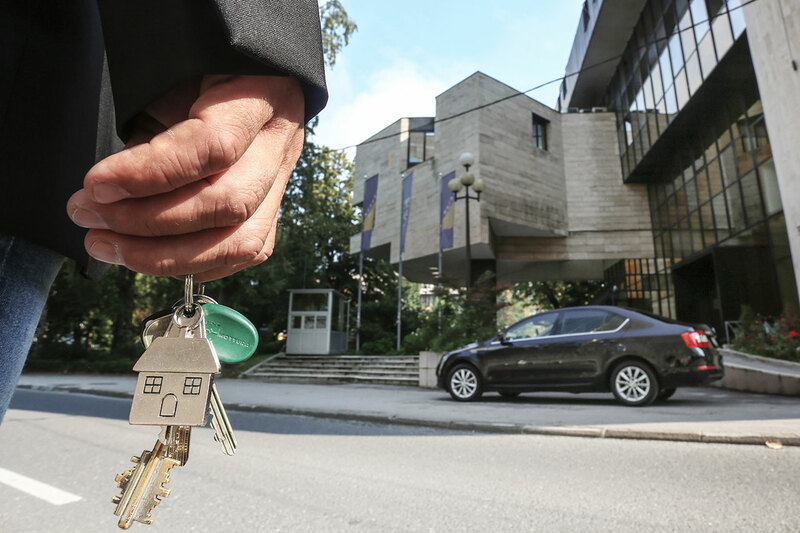 CIN reporters found that the Parliament paid 200 KM to Rešad Kusturica for a flat in the Sarajevo neighborhood of Velešići on behalf of Zdravko Bešlić, a Croatian Democratic Union’s (HDZ BiH) legislator from Posušje. His ex-wife lives in the flat, while Bešlić usually stays in a hotel. “I slept in a hotel because it made sense. We, the legislators from the Croatian caucus, mainly sleep there for a number of reasons,” said Bešlić. He said his car was safe in front of the hotel. So far, taxpayers paid 5,800 KM for rent of an apartment that Bešlić does not use, while he collected 17,732 KM in allowances and transport expenses. The House of Peoples signed another contract with Kusturica. Between January and April this year, Kusturica took 150 KM for the cost of accommodation for a Bugojno Social-Democratic Party legislator Nikola Simić. This time, Kusturica rented a part of his house in the Sarajevo neighborhood of Bjelave. Simić also did not use his accommodation. Both legislators said that they heard about Kusturica from somebody at the FBiH Parliament but couldn’t remember who. Simić explained that he had to get the lowest rent so that the rest of the allowance could cover his hotel costs. Until 2010, only legislators who did not use official accommodation and lived more than 50 kilometers away from Sarajevo could get reimbursed for hotel expenses. But when costs began to skyrocket a new Law on Salaries and Allowances abolished that perk. The new law was based on granting living away from home allowances only to professional legislators, those for whom the FBiH Parliament is their employer. Legislators on the payroll of the cantonal assemblies were to be entitled only to reimbursement for fuel after reporting for parliamentary sessions. After the law was passed, Simić joined the ranks of professionals. “I took the floor twice to say: people, you’re going to make us all professionals. 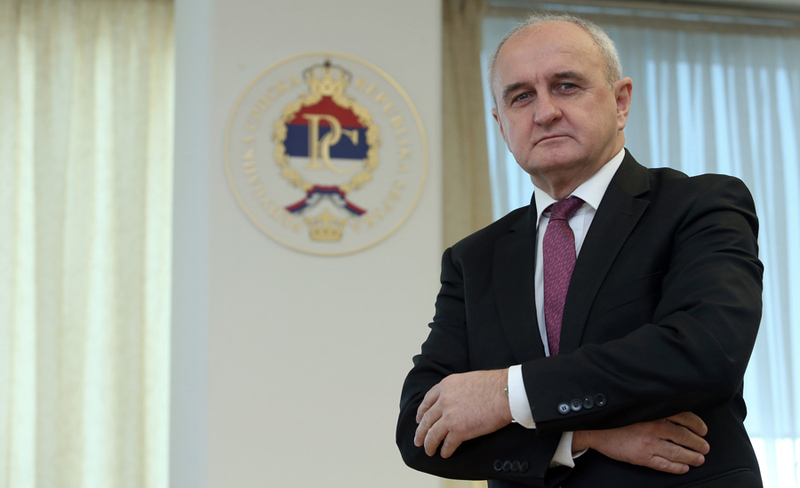 Leave an option for legislators to claim the salary difference and stay at hotels…Does anyone really think that I’m the only retarded or one of rare retarded ones in the Parliament not to claim this,” said Simić. After a rental contract with Kusturica was terminated this April, Simić was without a contract until mid-June. He continued to collect money for living away from home, utilities and transport allowances, however. In May and June he received 1,644 KM. Kusturica is Simić’s second landlord. Over 2.5 years of Simić’s term, he and his landlords collected 23,416 KM. Amil Buljubašić from Tešanj, did not rent during the first three months of 2017 either, but still collected allowances. He told CIN reporters: “Frankly, I cannot follow that. What balance is left on the bank account? But that is some minor discrepancy.” According to the data from the FBiH Parliament, Buljubašić collected 584 KM every month for living away from home, utilities and transport since January 2017. At the end of March 2017, he signed a contract for an apartment in Baščaršija, for 400 KM a month. Rent for three previous months was paid retroactively to a landlord. At the start of May, Buljubašić had yet to visit the place. “I have not used this apartment for objective reasons. I used another apartment,” said Buljubašić. When reporters knocked on the doors of the flat, the son of landlord Miralem Arnautović opened. He said that he had been living in the flat with his family, and that this was not the apartment rented out to the legislator. In a telephone conversation later, his father insisted that this was the flat for which the House of People paid the rent on behalf of Buljubašić. “Since he’s not there all the time, I sometime send the son there, so the son was there and I explained nothing to the child. I have not imagined that somebody would come around to check on things,” said Arnautović. During this investigation, CIN reporters encountered landlords’ relatives in 13 rented apartments. In 10 cases, the legislators said that they visited apartments occasionally. Among these are Party for Democratic Action legislators from Travnik and Bosanska Krupa, Refik Poparić and Mehmed Mahmić, and an HDZ BiH legislator from Čitluk, Tomislav Martinović. The families that reporters found living in the apartments said that they did not know who these legislators were and said that they did not live with them. “I don’t know what this man has told you, but I know that I live there,” said Mahmić answering the same question. Poparić could not explain why the man who lived in the apartment he rents has never met him. Mirko Batinić, an HDZ BiH legislator from Travnik, said that he chose his friend Zdenko Marković as landlord. Reporters found Marković living in the flat with his family. He said a room was at Batinic’s disposal and that he did not want to charge for it. “He says ‘Buddy, I don’t give it to you. I need to sign that in the Parliament. The Parliament has to pay,’ Marković recounted his conversation with Batinić. “‘Is that right? We’ll eat it and drink it, we’ll roast a lamb’”. According to the House of People’s records, no landlords have rented a part of an apartment or a room to legislators. The Parliament pays 200 KM for a three-and-half room apartment in a Sarajevo neighborhood of Malta for a Zenica legislator from Democratic Front Draženka Subašić. Thus, every month, Subašić keeps the difference of 600 KM. According to classifieds ads, the market price for renting a flat in that area costs twice as much. Subašić said that she did not know who the man in the apartment was, because she let her girlfriend use it. “I let her be there,” said Subašić. 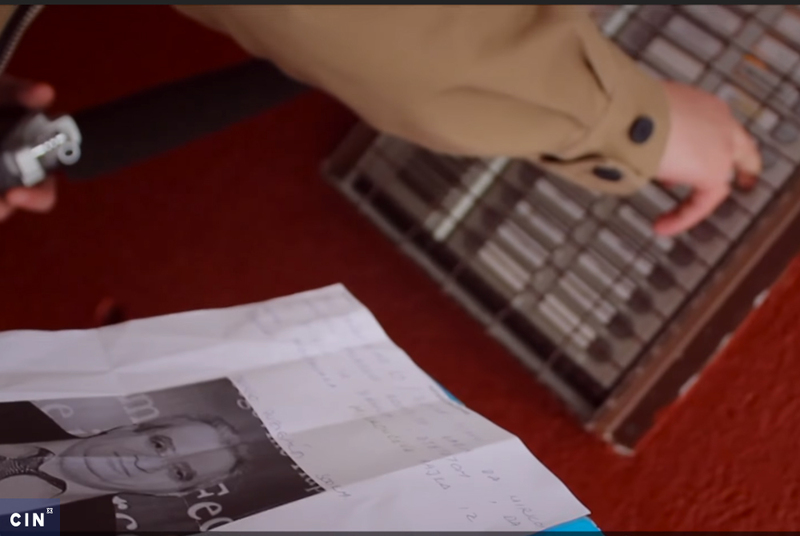 Reporters met tenants who lived in a flat of Goražde legislator Edim Fejzić, from the BiH Diaspora Party. They said they rented from owner Šehzija Sinanović via a real estate agency at the end of 2014. But House of Peoples’ records show that between the beginning of 2016 and the end of March 2017, Sinanović rented the apartment to Fezjić for 400KM a month. She’s a cousin of Fejzić’s friend and party colleague Sejad Tatarin who said that he helped Fejzić look for a flat. Tatarin told reporters that he did not know that she already had tenants. He never asked. “I needed a flat on the paper…because Edim said ‘I won’t live there’’” said Tatarin. On the other hand, Fejzić said that he had known that the tenants were in the apartment before concluding the contract, but he expected that they would leave after a few months. At the end of March 2017, the rental contract was terminated. At the time of publication, Fejzić did not have a rental contract for another apartment. Still, he has kept on getting 512 KM a month for living expenses in Sarajevo. Apartments rented for Fuad Hadžimehmedović from Tuzla and Željko Mirković from Bihać, members of the SBB and SDP parties, respectively, are occupied by their children who are studying in Sarajevo. Both say that they spend several days a week with their children. Hadžimehmedović said that the Parliament did not pay the apartment to his daughter, but to him. “If I rent an apartment, well, it can be vacant. Should I tell my daughter to move somewhere else?” said Hadžimehmedović. “It’s my family. I live here. If I had a chance, I would have moved my wife in with me. In the end, I have a right to that,” said Mirković. The use of allowances is defined by the 2010 Law and a 2011 Decision on the Establishing of the Amount Allocated for Living Away From Home, Rent of Accommodation for Official Purposes, Accommodation Costs and Reimbursement of Transport Expenses, adopted by the Administrative Commission of the FBiH House of Peoples. These rules have given the legislators an opportunity to choose apartments for themselves and to decide on the amount of rent to be paid from the allowances. In fact, the rules paved the way for legislators to find cheap flats in which they would not be living in order to keep most of the allowance. The highest rent can go up to 400 KM and the House of Peoples pays it directly to a landlord. From the remaining money, a legislator pays utilities and living costs. In January 2017, the allowance was raised from 600 KM to 800 KM. “As far as I and my colleagues are concerned, this 200 KM (increase), that’s nothing, and one tends to forget about it,” said legislator Slobodan Tomić, a member of the People’s Party Work for Betterment from Široki Brijeg. In the first half of 2017, his income on average was about 4,300 KM a month. The chairwoman of the FBiH House of Peoples and the president of the Administrative Commission, Lidija Bradara, said that the Commission increased the allowances because it wanted to even out the earnings of the legislators in the House of Peoples with those in the House of Representatives.